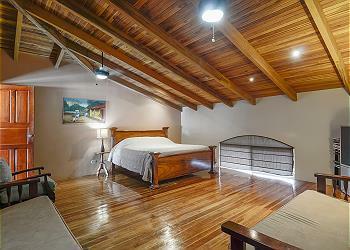 As you enter the home you will feel the warmth of Costa Rican woods as they are used throughout. The high ceilings, the cabinets, shelves and some of the flooring is made of a blend of the plentiful woods indigenous to the area. 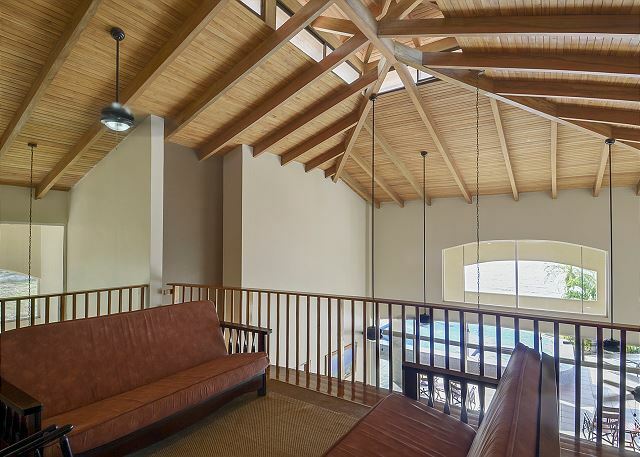 The Greatroom has 25 ft high ceilings of Costa Rican Teak and 16ft sliders that open right onto the patio/pool and ocean for an inside/outside tropical experience. 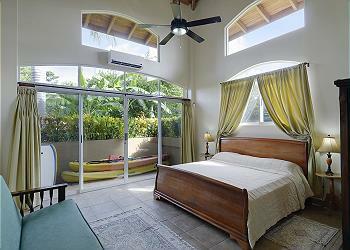 For your comfort all five bedrooms have individual air conditioners. WiFi is available. Sit with your lap top by the pool and email photos of you in paradise to your friends. A large screen TV with DVD player is located upstairs in the 5th bedroom/media room. 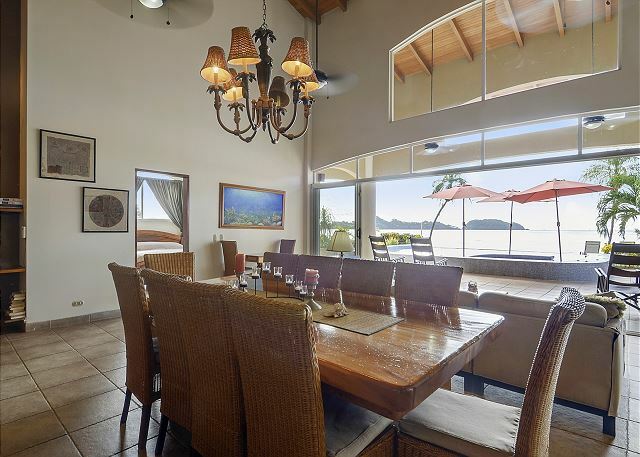 This is a great place for the kids to relax with a movie after a day of fun in the sun, while the adults are having cocktails on the patio before dinner and waiting for one of those spectacular Costa Rican sunsets to end a perfect day. Another TV and DVD/CD player are in the Great Room right off the pool. Outside speakers are on the patio to play your favorite tunes. Bring your iPod and connect to the system. You will have your favorite tunes while enjoying dancing on the patio or sitting and enjoying our spectacular Costa Rican sunsets. Janet and Tomas are your caretakers. They are here to pamper you. They provide daily maid service and services Monday through Saturday. They are becoming famous for their cooking skills. Make this truly a vacation. For a small additional fee they will help you relax while you are served drinks of your choice and a suburb meal. You provide the food and beverages and they will take over to prepare, serve and clean up. Tomas is a bartender extraordinaire. Food shopping is made simple by ordering prior to your arrival. Upon request we will send an order form to you and your home will be stocked with all your favorite food and beverages when you arrive. A secure and private lock down room is provided for your valuables. A monitored security system is in place with 24 hour coverage. 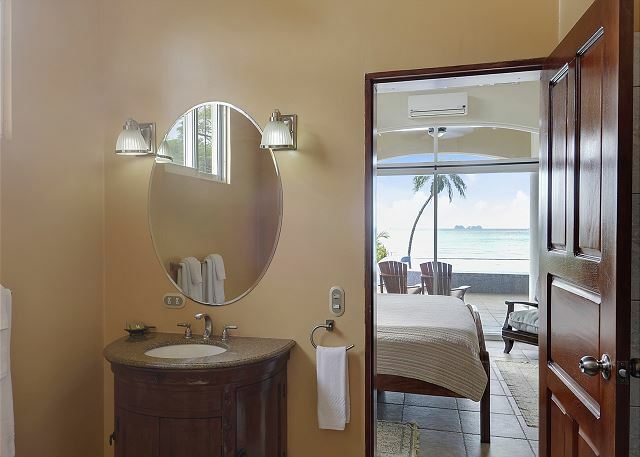 The Villa has been designed to comfortably accommodate large groups or small intimate parties. The 5 bedrooms each have king size beds with pillow top mattresses. 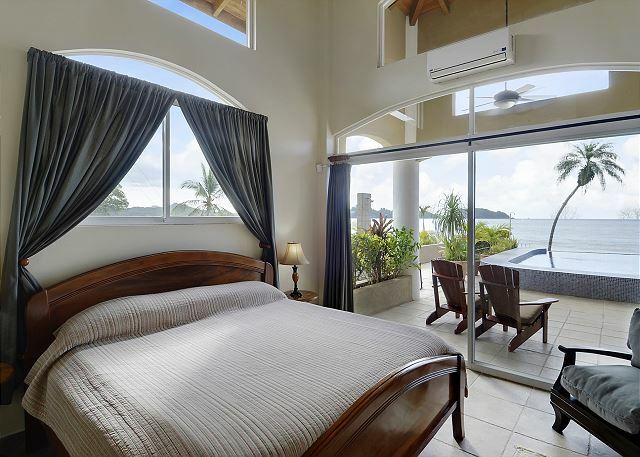 Two of the master bedrooms are directly off the ocean and pool. 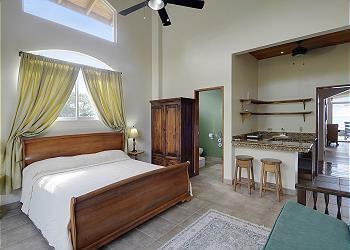 Two of the bedrooms have mini-kitchens and a private garden patio. They also have couch pull down beds for extra sleeping. The pull down beds can accommodate one adult or two small children. The fifth bedroom/media room is upstairs. It is a very large room and can accommodate the entire group for DVD movies or extra sleeping as it has two pull down couch beds plus the king size bed. The loft has two couch pull down beds. Playa Potrero is a very interesting bay. The Flamingo Marina is located at the south end of the bay. Sunset cruises, world class fishing and many activities await you. You have a perfect view of the boats coming and going from the Villa. The water out front is gentle and inviting. The perfect swimming/kayaking bay, gentle waves without any threatening riptides or undertow. 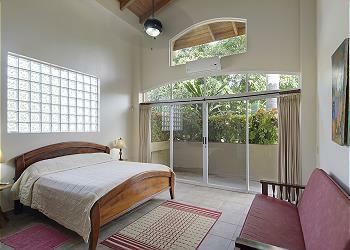 You will have an incredible vacation in the Villa Corazon an Costa Rica. 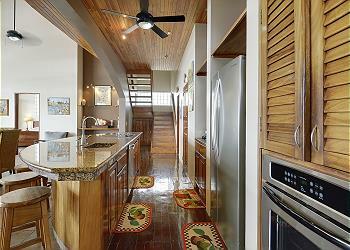 Outstanding location right on the beach, large rooms with full bath in each bedroom as described. Large clean bbq in outside bar area Pool was beautiful , clean with fanstatic view over the sea just as described and shown in the photos of the rental . Property was clean and well maintained by on site caretakers who were very helpful yet never in our way Good service provided by Cris in the Tamarindo office who set up our sunset cruise and river cruise. These trips were on the expensive side but you get what you pay for and they were excellent . We would absolutely recommend this property to our friends and relatives . The newly opened Merkado and French bakery nearby were a wonderful source of good quality foods and it even has a wine shop. Had we known this was open we would not have stopped at a supermarket on the way from the airport as suggested by friends who had visited the area . Potrero beach is currently quiet with clean sand and waves great for bodyboarding. We went with our 4 sons, wives and 3 children aged 6 months to 4 years - everyone said it was the best vacation they’d had! House – 5 bedrooms was great! We loved the back patio and bay/ocean view! Hearing the waves crash day and night never gets old! The pool was great. It was nice to listen to our ipods/spodify app with the WIFI and listen to the music on back patio. The beach is literally steps away…. Very little traffic on beach and private. A/C in bedrooms was very cold which was nice. Clean sheets and comfy beds. Janet did a great job keeping everything clean. WIFI worked great. Cable t.v with a few major US cable channels in English. Janet and Tomas. - As mentioned, Janet kept the house very clean. Tomas did a great job cooking for us. The day before he would ask what we wanted to eat. He would collect funds and go shopping and return you back any change. It was very reasonable. Tomas is an excellent cook! We had him cook dinner 5 out of 7 nights and breakfast 6 of the 7 days. Very, Very good!!!! Charters: I HIGHLY, recommend YellowFin Charters. This is the company the owner of the house (Joan) Recommends. They were at the airport ready for all 10 of us and about 17 pieces of luggage lol. They were on time and ready. Our Driver was “G” and he was fantastic! More on “G” in a minute. We did a charter through Yellow Fin in which we did all of the following one day. Horseback riding, zip lining, tubing down waterslide, great lunch, saw how they made coffee, mud bath, and then sat in hot springs. Our guy “G” was GREAT. He was with us the entire tour. We also used Yellowfin to book jet-skis for an hour. I called yellow fin and 2 hours later we had 2 jetskis dropped off right in front of house. We rode for an hour in the bay out front and it was great! Paid cash and on their way they went. Couldn’t have been easier. I have much more good to say but ran out of space here on TripAdvisor. Joan the owner is great and communication top notch! Our family of ten went to Costa Rica to celebrate my husband's 85th birthday. Everyone loved the Villa and its location. It was Paradise to all of us. We brought our four children and three of their friends so there were nine of us together. We absolutely loved the view, the pool and the area of protrero beach! The house was perfect for our family. We rented paddle boards tom dervin and used those with the kayaks. We also went surfing at Tamarindo beach and did s tour with zip lining, waterslide, and hotsprings and mud baths. Loved it all! Thank you for sharing your lovely home with us. It is the best vacation we have had to date! The house was lovely and well maintained. Tomas and Janet were great and we enjoyed Tomas's cooking and Janet's massages. The cool air in the bedrooms at night was perfect and I was realized to have the security guard in the evenings as my 13 year old was staying in a room by herself. The water pressure and heat was great in all showers, we never seemed to run out of hot water. We loved using the boogie boards during the evening high tide. All in all there wasn't anything that we felt we needed that wasn't at the house. The Shack in town was excellent for breakfast. We enjoyed the new Brewery in town as well. We ventured down to Coco Loco one night for a sunset dinner as well. The Drifting Ink in Tamarindo proved to be a perfect spot for the three ladies to get some memory tattoos! I know one family is planning on returning soon and bringing back the members that missed this trip, I hope we can return soon as well. Thank you again for all your help in making this trip run so smoothly. Take care! 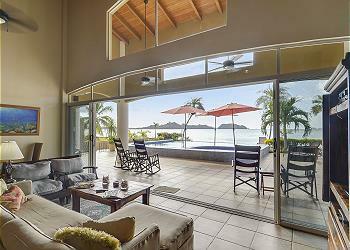 We had an amazing time in Costa Rica and enjoyed our stay at Villa Corazon Del Mar. The house was perfectly located. We loved the neighborhood and the proximity to restaurants and activities. Thomas and Janet were friendly and very attentive to our needs. We appreciated the security guard. We felt safe and happy to take all the necessary precautions like using the “safe” room for our valuables and the house alarm. Overall, the house is lovely. 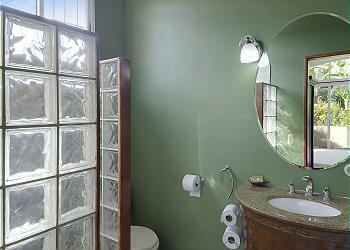 The layout and private suites make it a very accommodating and comfortable home. You can’t beat the kitchen view, infinity pool and beach. What a memorable vacation! We had such a good time. Not only was the home simply perfect in every way, but all the suggestions Joan made were wonderful! Corazon del Mar far surpassed our expectations. We went during the "rainy/slow" season and thoroughly enjoyed ourselves. The house was private, beautiful and conveniently located right on Playa Potrero - walking distance to several great restaurants. The town of Playa Potrero is small and quaint, with a few markets and great restaurants. We rented golf carts from Chip and Jennifer which allowed us to zip around the local community with ease, including trips to Playa Flamingo and Playa Penca for excellent body surfing and boogie boarding. The afternoons and evenings were a bit warm and humid(the common areas have no air conditioning, but the bedrooms do). However, we had no problem staying cool with the multiple fans and pool and ocean with perfect temperatures. We really enjoyed the 2-3 evening thunderstorms we experienced while sitting out on the pool deck, sipping Imperials and frozen blended rum drinks while watching the light show over the ocean. We also enjoyed our tropical visitors: a talented iguana, two cute sand crabs active in the evenings, a pair of black phoebes that showcased their dragonfly hunting skills, pelicans, and sea turtles (well offshore). Our hosts Tomas and Janet were amazing and helped us out anytime we needed them, but stayed out of our way otherwise. Don't pass up the opportunity to let Tomas prepare an amazing meal for you, and make sure to receive one of Janet's great one-hour massages right on the pool deck. They will also shop for you if you ask (for a small additional fee). In addition to the awesome accommodations at the villa, we really enjoyed the small town vibe of Playa Potrero, the friendly people and the fact that we felt completely safe during our entire trip (everywhere we traveled). If you are lucky enough to visit the region, I highly recommend a sunset sail, a canopy zip line visit and a boat tour on the Tempisque River. We spent a week at Villa Corazon del Mar and had a fabulous time! The house was perfect for our group of 15-- very spacious and the location is perfect. The owner, Joan, was extremely helpful and provided valuable information that made our stay absolutely perfect. I highly recommend this rental if you have a large family or group. 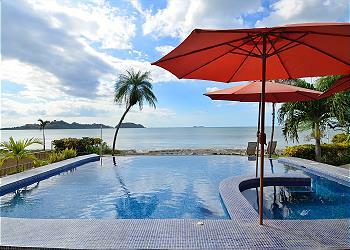 It's perfect for kids with a beautiful pool and beach location. We had Tomas and Janet cook our first dinner and breakfast, which worked out great! I enjoyed a few massages from Janet which were wonderful! We rented a few golf carts which were very handy in getting around nearby beaches and restaurants. This house is so family-friendly -- definitely recommend it! Our group of 10 went on an adult only trip without our children. This was the most perfect house to rent. Even though we did not bring our children we all agreed that it would be a great place to bring our families. The location was perfect! Joan gave us lots of recommendations for transportation restaurants services and Moore. This is a very well organized rental. Thomas and his wife were very attentive. We received massages that were wonderful. Thomas was a very wonderful cook and we received delicious meals. I highly recommend this rental to anybody! - it was really great to have kayaks, lifejackets, body boards for guests-we were out there every day! - the house has seen better days, as it shows its wear and tear, but it was by no means shabby. I just needs some touch ups. I didn't stop us from enjoying the place - just a small observation. 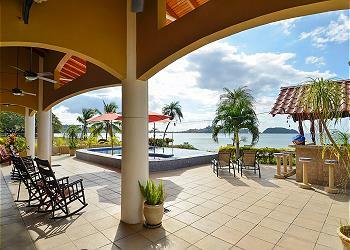 If your going to Costa Rica..THIS is the place to stay at! A 30 second walk to the beach..the only house along the beach with a pool. Beautiful ocean breeze..sunsets..amazing night sky. close walk to stores, restaurants and beach bars. Beautiful house and house staff were awesome. Always felt at home and very safe. I will return again. My best vacation so far.